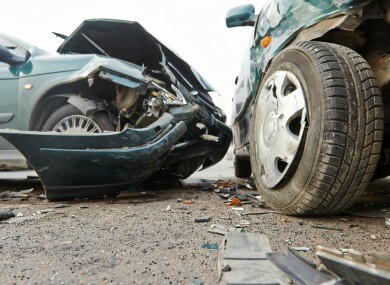 LAST YEAR THERE were 181 fatal road collisions in Ireland. Recent figures have shown that out of these collisions, a total number of 133 drivers were not breathalysed after the crashes. Many of the collisions accounted for in the figures from An Garda Síochána involved more than one vehicle. This information comes in a response to a parliamentary question asked to Justice Minister Frances Fitzgerald by independent TD Thomas Broughan. How comes so many people were not breathalysed? There were a number of reasons for drivers not being tested for alcohol. Of the 133 not breathalysed, the majority (82) could not be tested as they received a fatal injury at the scene of the crash. The remaining 51 did not face testing for a variety of reasons. In collisions in which the driver did not suffer a fatality, the largest group (17) were not tested on medical grounds. In four of the crashes testing was not possible as they were hit-and-run incidents in which the driver fled the scene. Of these, two were down to a doctor’s refusal and another two were due to insufficient time being available. One driver was not tested due to their being gone from the hospital, in one instance the driver was not known, in one instance there was insufficient time at the station and in another instance there was insufficient time (three hours) for an investigation to take place at the scene. An additional six were not breathalysed for reasons defined as ‘other’. Total road deaths and collisions so far in 2015 are down slightly on the figures for last year. There have been 60 people killed and 57 collisions on Irish roads, down from 79 killed and 75 collisions at the same point in 2014. Email “133 drivers in fatal crashes were not breathalysed last year”. Feedback on “133 drivers in fatal crashes were not breathalysed last year”.